I have no idea why I took this photo, apart from the fact that I need to take a photo everyday. 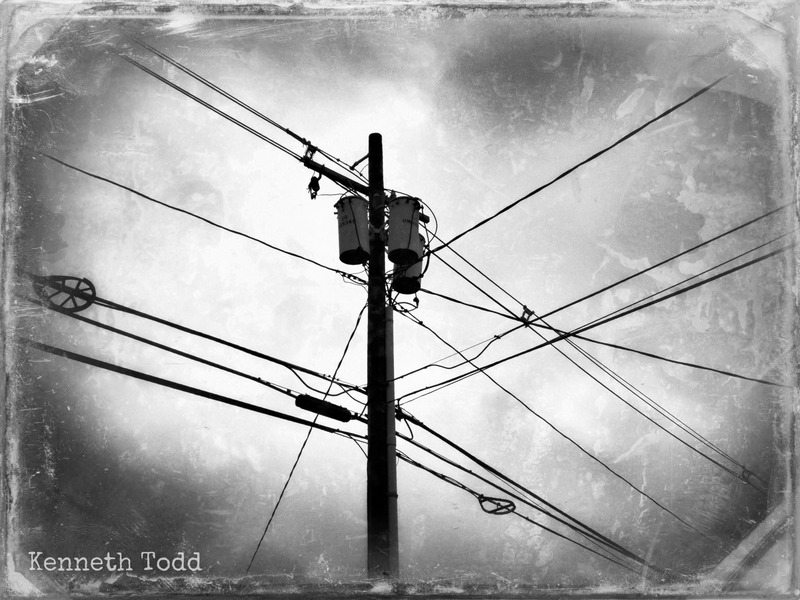 I like the lines and the ugliness of these old poles and wires though. Was fun shooting with my iPhone though. I hated these things on my recent trip to New England, always trying to keep them out of my photos. Yet, you have captured them brilliantly in their own right. Great shot. I hear you, they have ruined many of my sunsets. If you can’t beat them, join ’em. Shot I include them in a number of my shots now. Thanks for comments. As much as I dislike power lines, this is a fabulous photo.